“We wanted to refresh and reinvigorate our branding to make it more reflective of our ethos and ‘personality’. Kilvington immediately grasped the challenge and found a stylish, yet pragmatic solution." 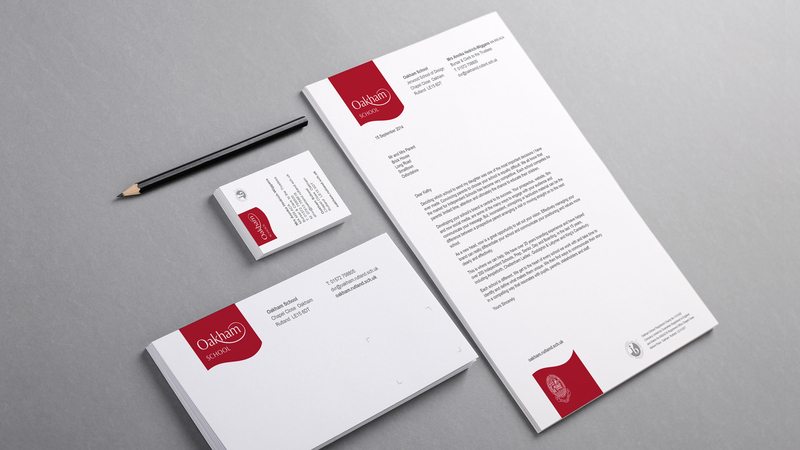 The Oakham school brand refresh was significantly strengthened by taking an evolutionary approach. The basic logotype was retained but the addition of the word school had to be carefully considered and balanced alongside the logotype itself. A unifying background was added, inspired by the red already in use on the school sports kit. A confident colour giving the brand great impact and easing the process of applying the identity across a variety of media.